Just Push "PLAY" To Listen! NOTE: If the play button doesn't appear, CLICK HERE for a quick install that will take a few seconds. I get asked so often about how I come up with my pricing - and there IS indeed a formula that goes into it. This formula does NOT involve looking at what other photographers are charging, and trying to undercharge them. It doesn't involve a lot of trial and error to see what the market will support. 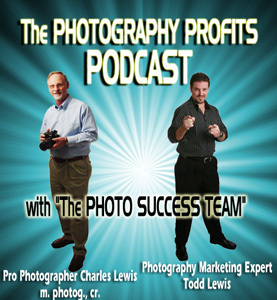 In this audio episode, I'll reveal very quickly the formula you can use to set your prices. This recording was done at a live event where I was speaking to photographers from all over the country about this very subject. I thought you could benefit from listening in. Go For It! I'll talk with you on the next hot-tip! "How To Dramatically Increase Your Marketing & Selling Results - The Specific Magic Of My PRICING FORMULA!" 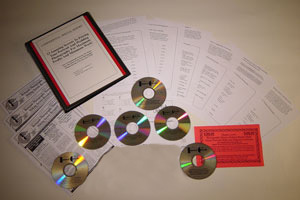 Get 6 Full-Length Audio CDs - Jam Packed Full Of Photography Money Making Secrets (and MUCH more) - ALL FOR FREE (you pay only $11 shipping) - Click Here Now! My Photography BLOG - "Subscribe to my BLOG to hear from me on a regular basis about the latest discoveries in Photography Marketing, Photography Sales, Photography Business Building Tips, Lighting & Posing, And MUCH MORE!" INCLUDES OUR NEW PODCAST AS WELL!